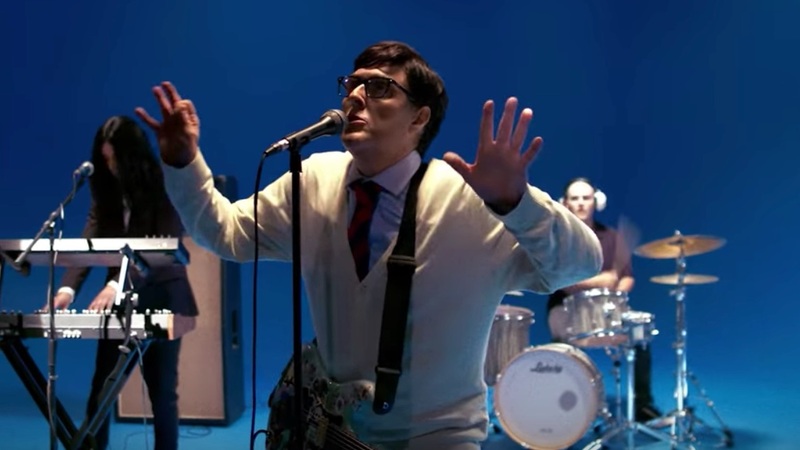 Weezer pushes the "Africa" cover gimmick ever onward with a new music video for the Toto classic. 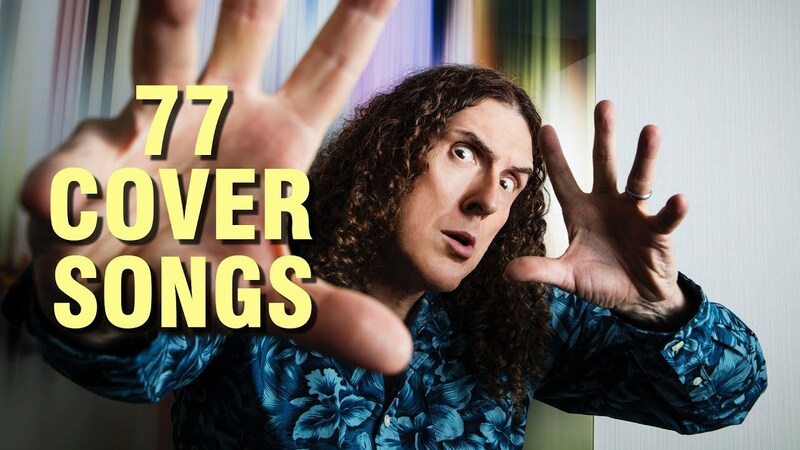 The clip stars Weird Al Yankovic as Rivers Cuomo in a parody of Weezer's own "Sweater Song" music video. If you'd like to visit, but not pickaxe, the star, it's located at 6914 Hollywood Blvd., directly across the street from the world-famous Chinese Theatre (and a mere 200 feet, as he points out, from a Hooters). At Weezer's show at The Forum in Los Angeles Wednesday, Weird Al got onstage mid-song to join the band in a cover of Toto's 1982 hit "Africa." You may remember that a 14-year-old recently convinced Weezer to cover "Africa." "We're gonna take you on a distant voyage," promised singer Rivers Cuomo, who was sporting a classic sleeveless Nirvana T-shirt and rocking a flying V guitar. "To the continent of your choosing... where do you kids want to go tonight?" The question was rhetorical, of course, as "Africa" has become the highlight of the band's sets on their current co-headlining tour with The Pixies. Just moments after the crowd shouted "AFRICA!! !," the band kicked into the song's familiar heat mirage intro and Cuomo awkwardly played some air drums and then, just after the third verse, it happened. 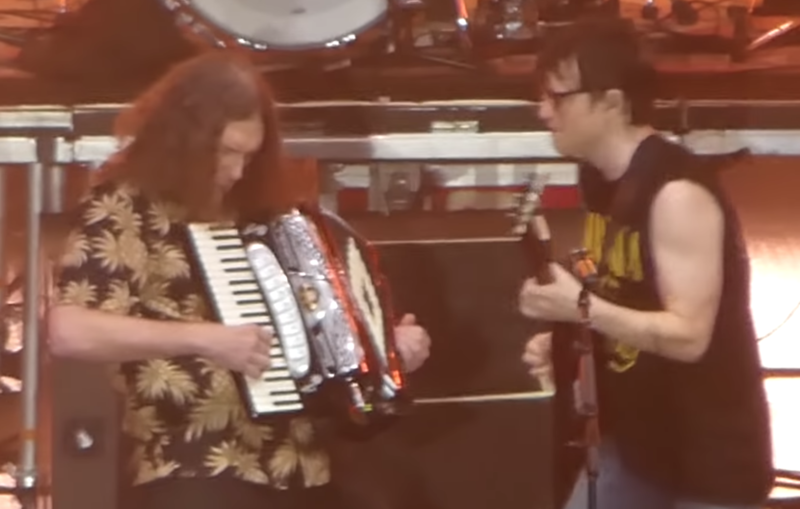 "Weird Al" wandered out on stage in his signature Hawaiian shirt, his accordion at the ready to rip off a wicked solo. Al joined in on the chorus and finished it off with an accordion/guitar riff-off with Cuomo. And then, officially, summer was over. 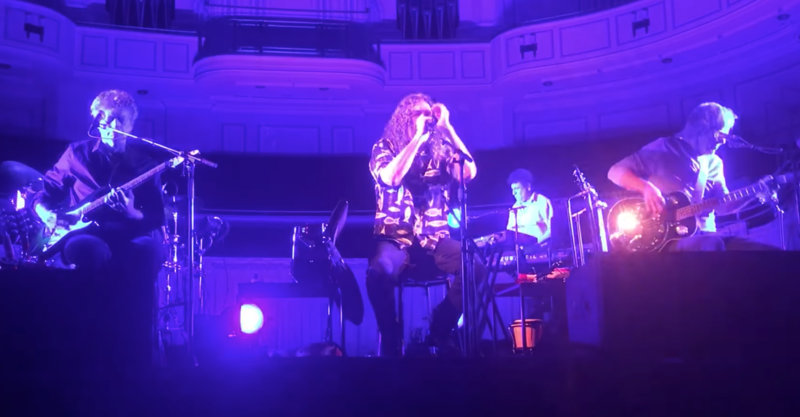 From Deep Purple's "Smoke on the Water" to Alice Cooper's "School's Out," Weird Al and his band covered a different song for the encore each night for Yankovic's recent "Ridiculously Self-Indulgent, Ill-Advised Vanity Tour." Now he's put together a video of all of those cover songs, 77 songs for 77 cities. It's nearly half an hour long and there's no footage, just the music, but it's totally worth a look/listen (if for no other reason to appreciate the effort). Weird Al's "The Hamilton Polka" inspired Michael William Hunter to create a song about the accordion-playing musician's life. It's a Hamilton parody set to the tune of the musical's "Alexander Hamilton," called "Alfred Matthew Yankovic." Well, the word got around said, “this kid is so weird, man!” Soon he’s posing with an accordion in his mere hands. Perfect yo skills with classes, get glasses with a thick frame! And the world will surely know your name! What’s your name man? 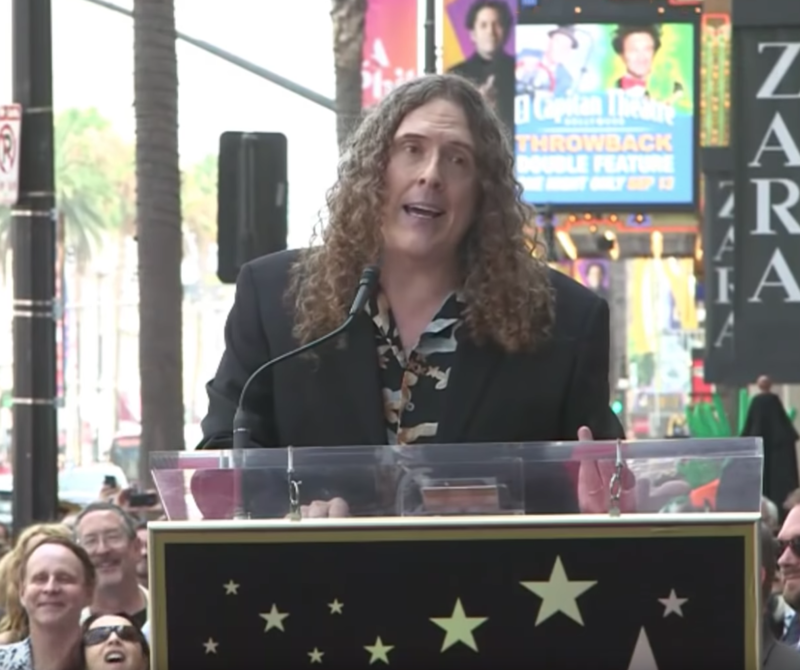 My name is Alfred Matthew Yankovic. 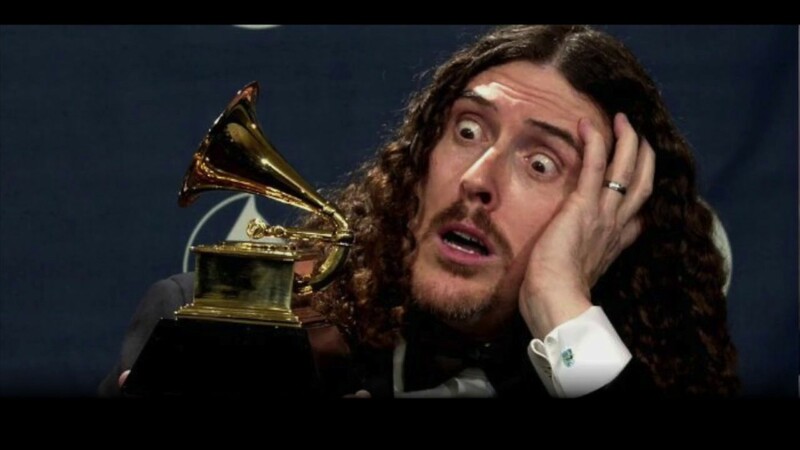 When he's not making a "Weird Al"-Hamilton parody, Hunter runs "Weird Al"Phabet, a podcast that discusses every "Weird Al" Yankovic song in alphabetical order. 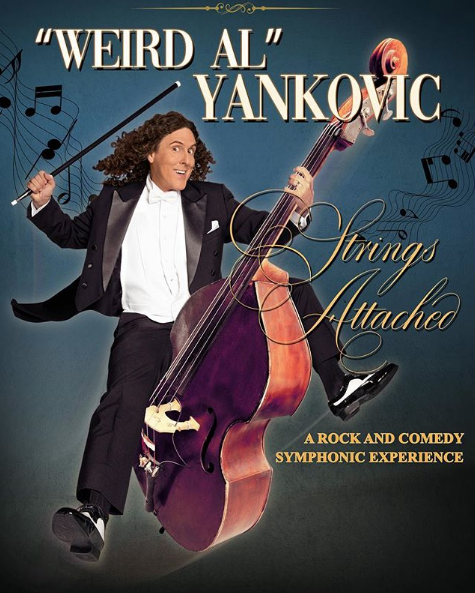 "Weird Al" Yankovic is currently traveling North American performing for his Ridiculously Self-Indulgent, Ill-Advised Vanity Tour, one that he promised would not be business as usual. Living up to that promise, he recently performed Billy Idol's 1983 hit "Rebel Yell" live in Carmel, Indiana. No, not a parody of it, the actual song. 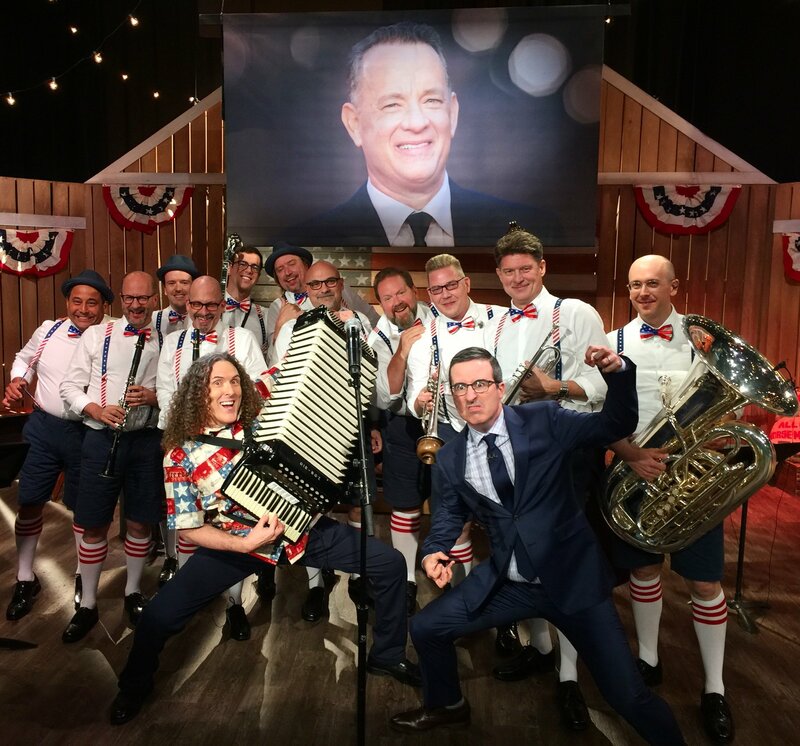 To appeal to the people of North Korea, Last Week Tonight host John Oliver enlisted the help of "Weird Al" Yankovic to write an accordion-based song about how Americans are not that bad (because North Koreans supposedly love accordion music). The brilliant ditty is called "The North Korea Polka" and the chorus is aptly, "Please don't nuke us, North Korea!"